Begin your excursion with a visit to the Alaska Brewery. Enter the tasting room where you will have a view of the brewing process and the opportunity to sample some local beers. Next, head off to the Brotherhood Bridge scenic viewpoint where you will have sweeping views of the Mendenhall Valley, and learn about the cultural significance of this landmark. Conclude the day with a Chez Alaska Cooking demonstration, followed by samples of these delicious, local creations. 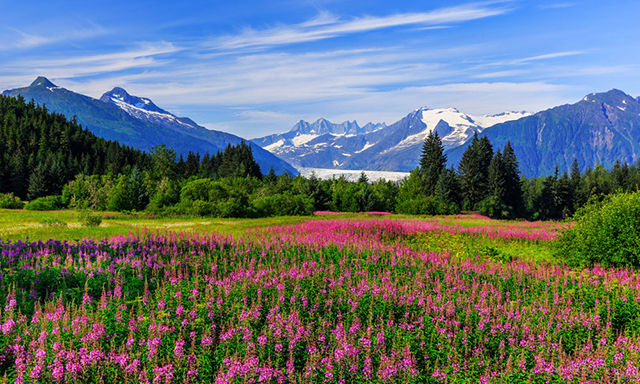 • Half-day adventure: Tour and sample at the Alaska Brewery, enjoy glacier views and sample local cuisine all in one tour. • Brotherhood Bridge: Soak in the views and learn about this culturally significant landmark. • Chez Alaska Cooking: Watch chefs prepare wild Alaskan salmon using local flavors — then enjoy their creations. • Tour Participants must be of legal drinking age to consume alcohol.